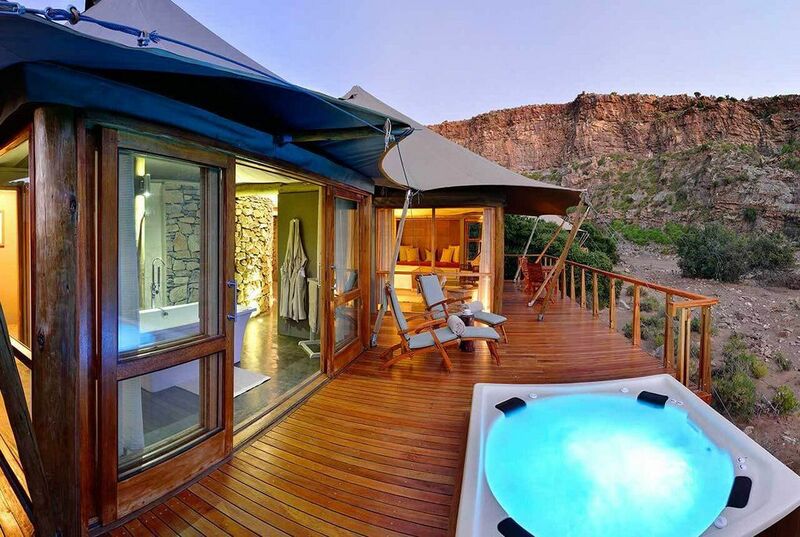 Embraced by striking rock formations, Dwyka Tented Lodge epitomises an atmosphere of seclusion. 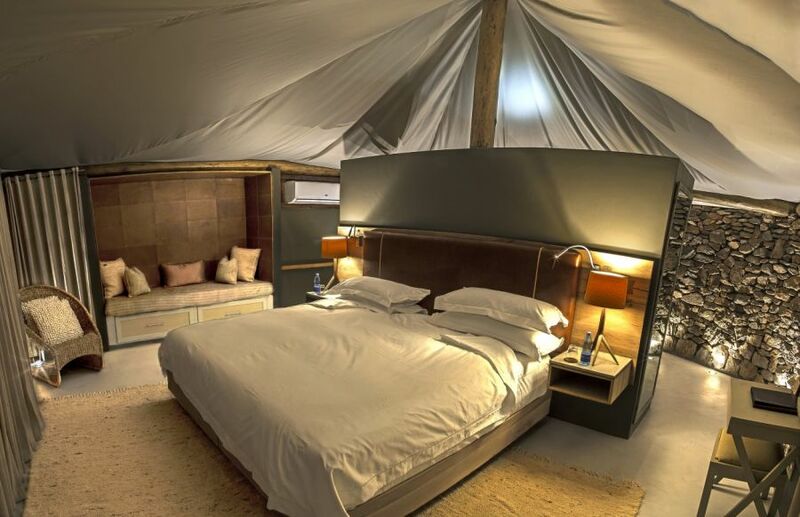 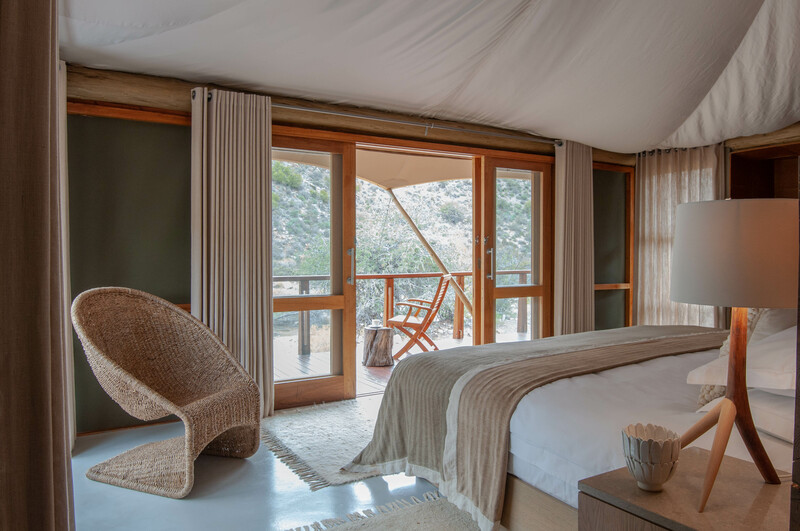 Nine luxury tents, with private decks and heated Jacuzzis, are set in a horseshoe bend of a dry Karoo ravine. 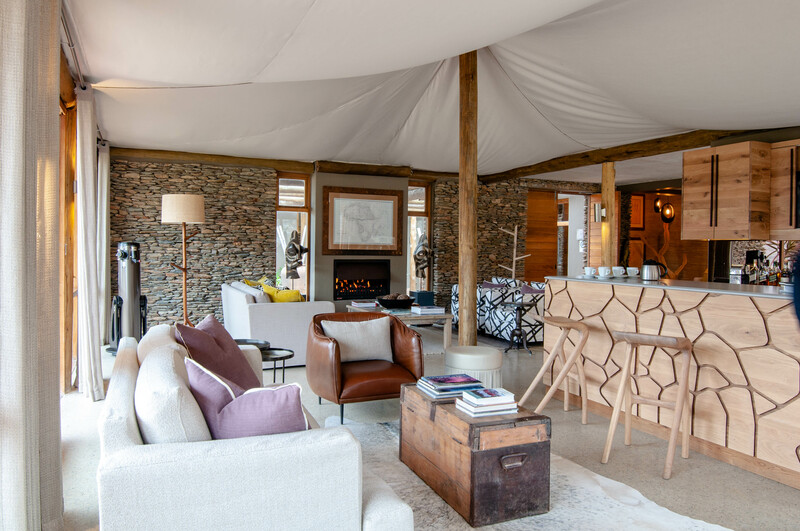 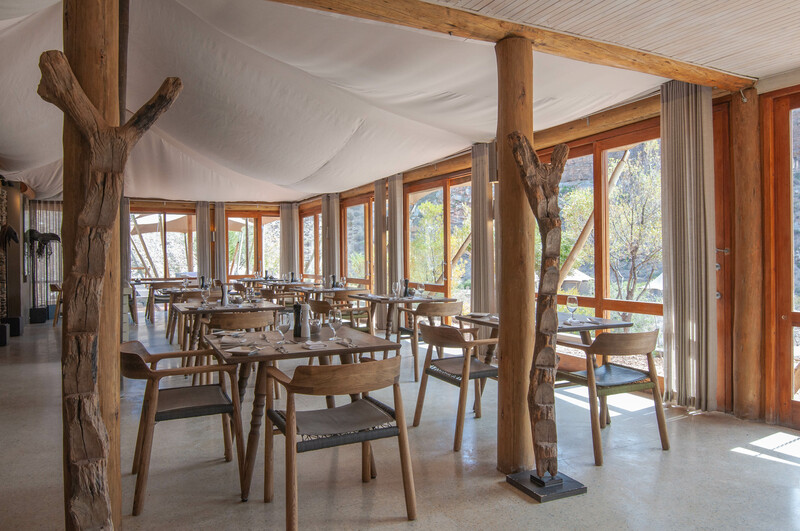 The lodge stands proudly upon the beautifully weathered landscape reflecting the nomadic lifestyle of the Khoisan hunter-gatherers who once roamed this land. 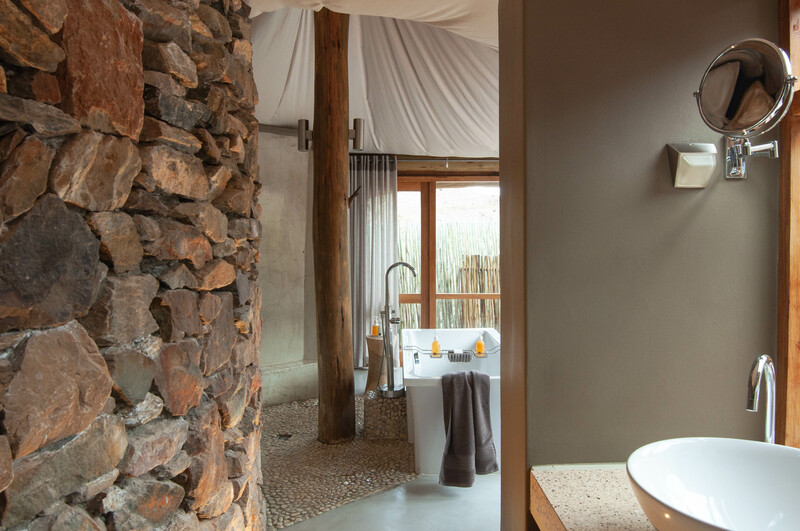 Rejuvenate your mind, body and soul at the Relaxation Retreat, which offers an extensive menu of treatments and therapies. 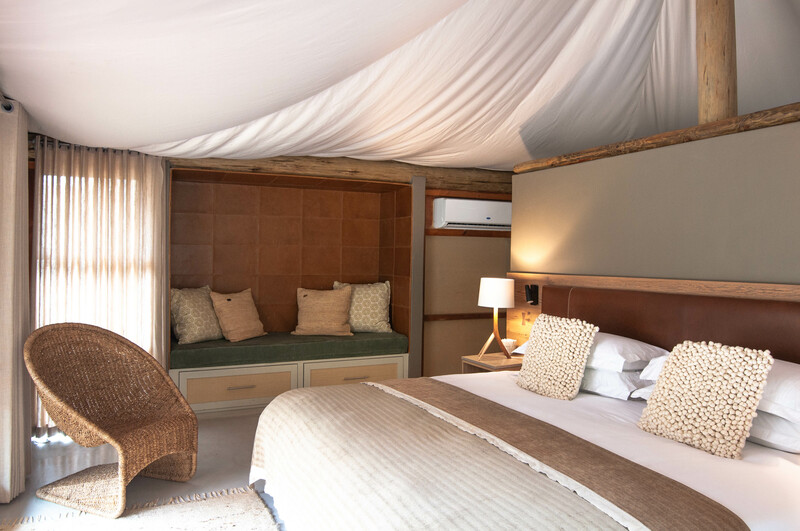 Dine alfresco in the boma or unwind in the communal lounge. 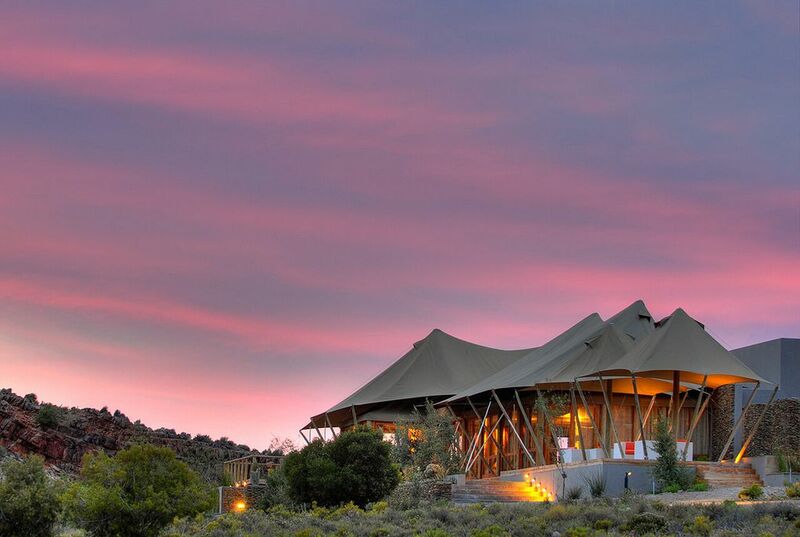 The Western Cape’s Premier Wildlife Destination. 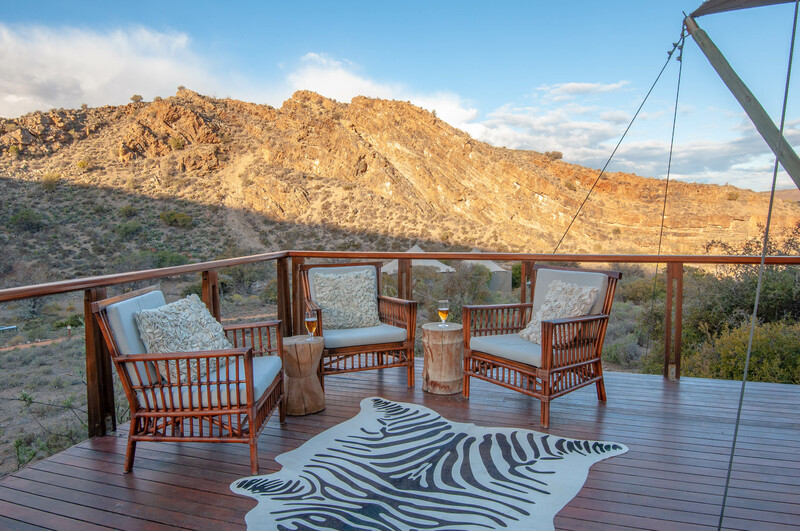 Welcome to the malaria-free Sanbona Wildlife Reserve, a three-hour scenic drive from Cape Town to the heart of the Little Karoo, along the Route 62 – the world’s longest wine route. 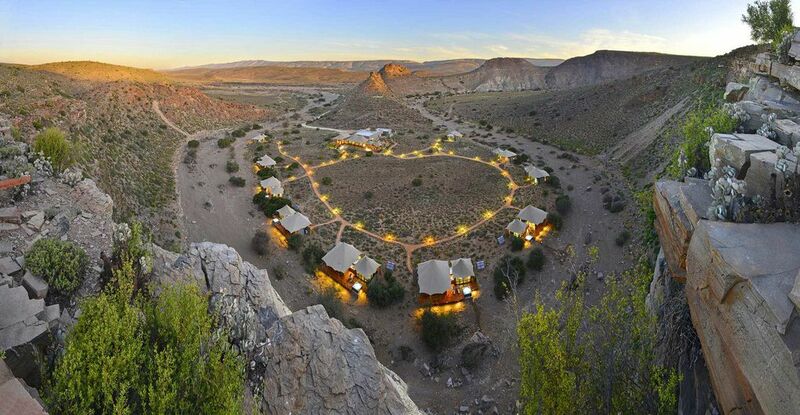 At the foot of the towering Warmwaterberg Mountains, Sanbona boasts 58,000 hectares of sculpted Cape Fold Mountains, wide-open Karoo plains, indigenous flora and fauna and rare examples of San rock art, some dating back more than 3,500 years, plus a unique boat safari.